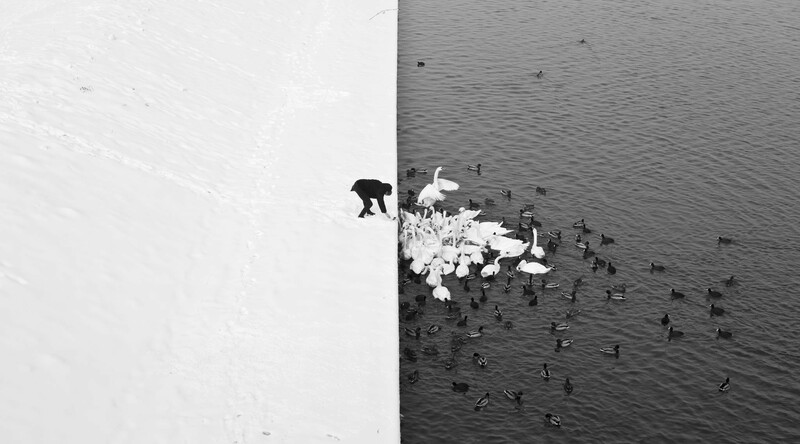 This amazing once-in-a-lifetime photograph captured by Polish photographer Marcin Ryczek featuring a man feeding swans and ducks from a snowy river bank in Krakow. The framing with contrast of black/white and water/snow is simply astonishing. You can download a desktop sized version of this photo here.